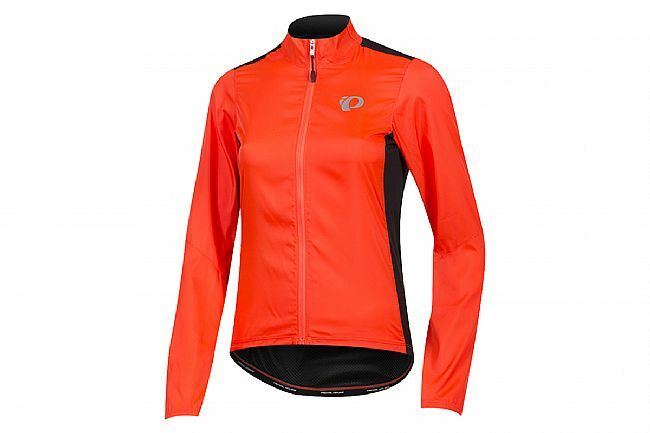 The Elite Pursuit Hybrid Jacket from Pearl Izumi is lightweight and packable -- ready to grab for protection from wind and drizzle. 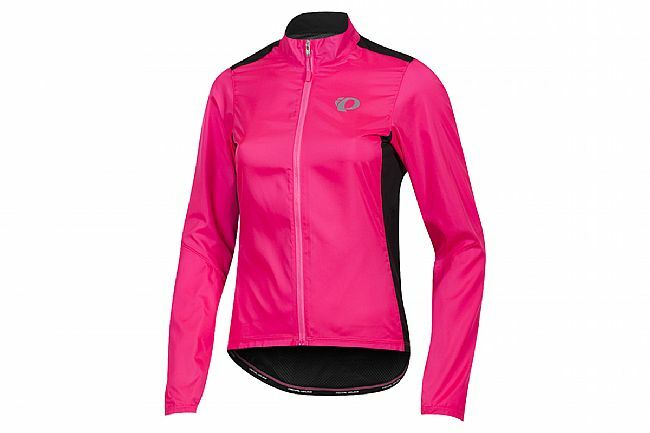 Its snug, stretchy fit offer a tailored, comfortable fit. The waist is cinched while the hips are wider, ensuring it doesn't ride up or flap in the wind. The 2-way Vislon® zipper allows for additional ventilation during hard efforts. Wind and water resistant ELITE Barrier fabric. 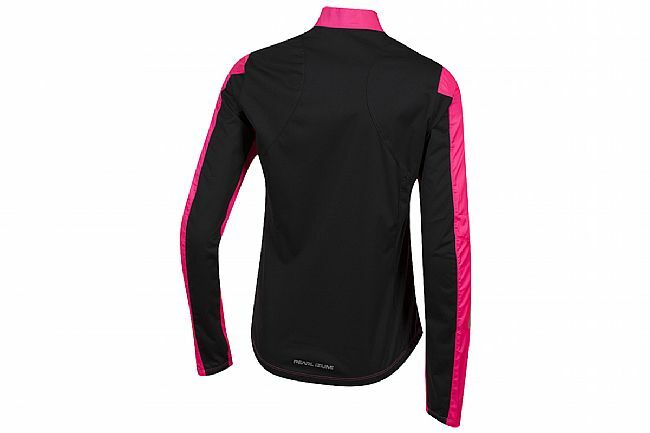 Breathable, stretchy Softshell Lite fabric. Full-length 2-way Vislon® zipper with storm flap. Shaped collar for on the bike fit and comfort. Elastic hem and cuffs seal in warmth. Silicone waist gripper stabilizes jacket.